These are our terms when taking out a Wessex Technology Countermark software solution subscription with us online. By purchasing a subscription online you (“the Customer”) agree to these terms. YOUR ATTENTION IS PARTICULARLY DRAWN TO THE PROVISIONS OF CLAUSE 12. CAPITALISED TERMS USED HEREIN WHICH ARE NOT DEFINED WHEN THEY FIRST APPEAR ARE DEFINED IN CLAUSE 27. 1.1	Subject to the Customer purchasing the Issuer Subscriptions (or, as the case may be, the Document Allowance), Wessex Technology hereby grants to the Customer a non-exclusive, non-transferable right to permit the Issuers and Users to use the Services and the Guidance during the Subscription Term solely for the purpose of Annotation, Redaction, Validation or Tracing of Customer’s own Documents. (d)	if any of the audits referred to in clause 1.2(c) reveal that any password has been provided to any individual who is not an Issuer, then without prejudice to Wessex Technology's other rights, Wessex Technology may promptly disable such passwords and Wessex Technology shall not issue any new passwords to any such individual. (d)	if the Customer wishes to purchase additional Issuer Subscriptions, the Customer shall so notify Wessex Technology in writing. Wessex Technology shall evaluate such request for additional Issuer Subscriptions and respond to the Customer with approval or rejection of the request (such approval not to be unreasonably withheld). 1.4	For the purposes of clause 1.3(d), if Wessex Technology approves the Customer's request to purchase additional Issuer Subscriptions, the Customer shall, within 30 days of the date of Wessex Technology's invoice, pay to Wessex Technology the relevant fees for such additional Issuer Subscriptions as set out in paragraph 2 of the Schedule and, if such additional Issuer Subscriptions are purchased by the Customer part way through the Initial Subscription Term or any Renewal Period (as applicable), such fees shall be pro-rated for the remainder of the Initial Subscription Term or then current Renewal Period (as applicable). and Wessex Technology reserves the right, without liability or prejudice to its other rights to the Customer, to disable the Customer's access to any material that breaches the provisions of this clause. 1.7	The Customer shall use all reasonable endeavours to prevent any unauthorised access to, or use of, the Services and/or the Guidance and, in the event of any such unauthorised access or use, promptly notify Wessex Technology. (a)	Before an Issuer is able to apply a Validation Countermark to a Document, the Customer will be required to satisfactorily complete Wessex Technology's Company Authentication Process. (b)	The Customer undertakes to notify Wessex Technology immediately in the event that there is any change of circumstances, personnel or other relevant matter which might invalidate the Company Authentication Process already undertaken by the Customer. (c)	Without prejudice to the foregoing, Wessex Technology reserves the right, at any time, to require the Customer to submit to the Company Authentication Process, even if it has already passed. 1.9	The rights provided under this clause 1 are granted to the Customer only, and shall not be considered granted to any subsidiary or holding company of the Customer. 2.1	Wessex Technology shall, during the Subscription Term, provide the Services and make available the Guidance to the Customer on and subject to the terms of this agreement. (b)	unscheduled maintenance performed outside Normal Business Hours, provided that Wessex Technology has used reasonable endeavours to give the Customer at least 6 Normal Business Hours' notice in advance. 2.3	Wessex Technology will, as part of the Services and at no additional cost to the Customer, provide the Customer with Wessex Technology's standard customer support services during Normal Business Hours in accordance with Wessex Technology's Support Services Policy in effect at the time that the Services are provided. Wessex Technology may amend the Support Services Policy in its sole and absolute discretion from time to time. The Customer may purchase enhanced support services separately at Wessex Technology's then current rates. 3.1	The Countermark Application is freely downloadable by any potential User from the Website. The Customer agrees not to distribute copies of the Application itself but to direct all potential Users to the Website to download the Application. 3.2	When creating a Countermark the Services will request the Issuer to designate User permissions as “Public” or “Private”. A Public Countermark can be read by any User subject to time and geographic restrictions to retrieve the Snippet linked to the Countermark by the Issuer. The creation of a Private Countermark requires the Issuer to designate a “Group of Users”, being those named Users who may use the Application to read the Countermark to retrieve a Snippet. The Issuer will be required to identify the Group of Users by inputting the name, email address, phone number or similar data for each User together with any time and geographic restrictions. (b)	if the Customer wishes to amend the Group of Users, it shall do so through the Services which shall, on request by an Issuer, disable any password provided for a particular permitted User. 3.4	Countermark Codes are generated randomly and it is possible, if unlikely, that any particular string of digits may appear to the Customer (or an Issuer or User) as inappropriate or offensive. The Customer accepts that it is the Customer’s sole responsibility to ensure that its Issuers visually inspect each Countermark Code before accepting it and applying it to a Document. If, for any reason, the Countermark Code appears inappropriate to an Issuer, the Issuer should request the Services to generate an alternative. Wessex Technology accepts no responsibility whatsoever for any Countermark Code being, or being viewed as being, inappropriate or offensive by reason of the particular string of characters comprised in the Countermark Code. 4.1	The Customer shall own all right, title and interest in and to all of the Customer Data and shall have sole responsibility for the legality, reliability, integrity, accuracy and quality of the Customer Data. Without limiting the foregoing, the Customer gives Wessex Technology the indemnity set forth in clause 11.1 in respect to the Customer Data. 4.3	Wessex Technology shall, in providing the Services, comply with its Privacy and Security Policy relating to the privacy and security of the Customer Data available at the Website, as such document may be amended from time to time by Wessex Technology in its sole discretion. 6.1	Wessex Technology undertakes that the Services will be performed substantially in accordance with the Specification and with reasonable skill and care. (b)	is not responsible for any delays, delivery failures, or any other loss or damage resulting from the transfer of data over communications networks and facilities, including the internet, and the Customer acknowledges that the Services and Guidance may be subject to limitations, delays and other problems inherent in the use of such communications facilities. 6.3	This agreement shall not prevent Wessex Technology from entering into similar agreements with third parties, or from independently developing, using, selling or licensing documentation, products and/or services which are similar to those provided under this agreement. 6.4	Wessex Technology warrants that it has and will maintain all necessary licences, consents, and permissions necessary for the performance of its obligations under this agreement. (g)	be solely responsible for procuring and maintaining its network connections and telecommunications links from its systems to Wessex Technology's data centres, and all problems, conditions, delays, delivery failures and all other loss or damage arising from or relating to the Customer's network connections or telecommunications links or caused by the internet. 8.1	The Customer shall pay the Subscription Fees to Wessex Technology for the Issuer Subscriptions or, as the case may be, the Document Allowance in accordance with this clause 8 and the Schedule. (b)	interest shall accrue on a daily basis on such due amounts at an annual rate equal to 4% over the then current base lending rate of Wessex Technology's bankers in the UK from time to time, commencing on the due date and continuing until fully paid, whether before or after judgment. (c)	are exclusive of value added tax, which shall be added to Wessex Technology's invoice(s) at the appropriate rate. 8.5	If, at any time whilst using the Services, the Customer exceeds the amount of disk storage space, or Service Use, specified in the Guidance, Wessex Technology shall charge the Customer, and the Customer shall pay, Wessex Technology's then current excess data storage or excess Service Use fees. Wessex Technology's excess data storage fees or excess Service Use current as at the Effective Date are set out in the Schedule. 8.6	Wessex Technology shall be entitled to increase the Subscription Fees, and the excess storage fees payable pursuant to clause 8.5 at the start of each Renewal Period upon 90 days' prior notice to the Customer the Schedule shall be deemed to have been amended accordingly. 9.1	The Customer acknowledges and agrees that Wessex Technology and/or its licensors own all Intellectual Property Rights in the Services and the Guidance (including the Countermark Trade Mark and the Countermark Font). Except as expressly stated herein, this agreement does not grant the Customer any rights to, or in, patents, copyright, database right, design rights (whether registered or unregistered), trade secrets, trade names, trade marks (whether registered or unregistered), or any other rights or licences in respect of the Services or the Guidance. 9.2	Without limiting clause 9.1, the Customer undertakes that it shall not (and it shall not permit or suffer any Issuer or restricted User to) remove or obscure any proprietary notice included as part of the Countermark Code. 9.3	Wessex Technology confirms that it has all the rights in relation to the Services and the Guidance that are necessary to grant all the rights it purports to grant under, and in accordance with, the terms of this agreement. 10.2	Each party shall hold the other's Confidential Information in confidence and, unless required by law, not make the other's Confidential Information available to any third party, or use the other's Confidential Information for any purpose other than the implementation of this agreement. 10.3	Each party shall take all reasonable steps to ensure that the other's Confidential Information to which it has access is not disclosed or distributed by its employees or agents in violation of the terms of this agreement. 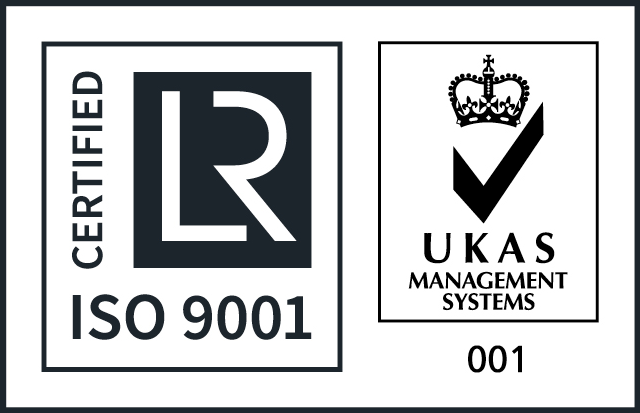 10.5	The Customer acknowledges that details of the Services, and the results of any performance tests of the Services, constitute Wessex Technology's Confidential Information. 10.6	Wessex Technology acknowledges that the Customer Data is the Confidential Information of the Customer. 10.7	No party shall make, or permit any person to make, any public announcement concerning this agreement without the prior written consent of the other parties (such consent not to be unreasonably withheld or delayed), except as required by law, any governmental or regulatory authority (including any relevant securities exchange), any court or other authority of competent jurisdiction. 10.8	The above provisions of this clause 10 shall survive termination of this agreement, however arising. (c)	Wessex Technology is given sole authority to defend or settle the claim. 11.3	In the defence or settlement of any claim, Wessex Technology may procure the right for the Customer to continue using the Services, replace or modify the Services so that they become non-infringing or, if such remedies are not reasonably available, terminate this agreement on 5 Business Days' notice to the Customer without any additional liability or obligation to pay liquidated damages or other additional costs to the Customer. (c)	the Customer's use of the Services or Guidance after notice of the alleged or actual infringement from Wessex Technology or any appropriate authority. 11.5	The foregoing and clause 12.4(b) state the Customer's sole and exclusive rights and remedies, and Wessex Technology's (including Wessex Technology's employees', agents' and sub-contractors') entire obligations and liability, for infringement of any patent, copyright, trade mark, database right or right of confidentiality. (c)	the Services and the Guidance are provided to the Customer on an "as is" basis. (b)	Wessex Technology's total aggregate liability in contract, tort (including negligence or breach of statutory duty), misrepresentation, restitution or otherwise, arising in connection with the performance or contemplated performance of this agreement shall be limited to the total Subscription Fees paid for the Issuer Subscriptions during the 12 months immediately preceding the date on which the claim arose. (m)	there is a Change of Control of the other party. (d)	any rights, remedies, obligations or liabilities of the parties that have accrued up to the date of termination, including the right to claim damages in respect of any breach of the agreement which existed at or before the date of termination shall not be affected or prejudiced. Wessex Technology shall have no liability to the Customer under this agreement if it is prevented from or delayed in performing its obligations under this agreement, or from carrying on its business, by acts, events, omissions or accidents beyond its reasonable control, including strikes, lock-outs or other industrial disputes (whether involving the workforce of Wessex Technology or any other party), failure of a utility service or transport or telecommunications network, act of God, war, riot, civil commotion, malicious damage, compliance with any law or governmental order, rule, regulation or direction, accident, breakdown of plant or machinery, fire, flood, storm or default of suppliers or sub-contractors, provided that the Customer is notified of such an event and its expected duration. 19.1	If any provision (or part of a provision) of this agreement is found by any court or administrative body of competent jurisdiction to be invalid, unenforceable or illegal, the other provisions shall remain in force. 20.1	This agreement, and any documents referred to in it, constitute the whole agreement between the parties and supersede any previous arrangement, understanding or agreement between them relating to the subject matter they cover. 20.2	Each of the parties acknowledges and agrees that in entering into this agreement it does not rely on any undertaking, promise, assurance, statement, representation, warranty or understanding (whether in writing or not) of any person (whether party to this agreement or not) relating to the subject matter of this agreement, other than as expressly set out in this agreement. 21.1	The Customer shall not, without the prior written consent of Wessex Technology, assign, transfer, charge, sub-contract or deal in any other manner with all or any of its rights or obligations under this agreement. 21.2	Wessex Technology may at any time assign, transfer, charge, sub-contract or deal in any other manner with all or any of its rights or obligations under this agreement. 24.1	Any notice required to be given under this agreement shall be in writing and shall be delivered by hand or sent by pre-paid first-class post or recorded delivery post to the other party at its address set out in this agreement, or such other address as may have been notified by that party for such purposes, or sent by fax to the other party's fax number as set out in this agreement. 24.2	A notice delivered by hand shall be deemed to have been received when delivered (or if delivery is not in business hours, at 9 am on the first business day following delivery). A correctly addressed notice sent by pre-paid first-class post or recorded delivery post shall be deemed to have been received at the time at which it would have been delivered in the normal course of post. A notice sent by fax shall be deemed to have been received at the time of transmission (as shown by the timed printout obtained by the sender). 27.1	The definitions and rules of interpretation in this clause apply in this agreement. Annotation: the application of a Countermark Code to a Document or product for the purpose of linking the Document or product to additional data provided by the Service. Annotation Data: the additional information displayed by the Services when a User reads a Countermark. Authorised Issuers: those employees, agents and independent contractors of the Customer who are authorised by the Customer to use the Services and the Guidance, as further described in clause 1.2(b). Application: the mobile device application through which Users may authenticate Documents and/or access a Snippet (as determined by the Customer). Company Authentication Process: the process specified by Wessex Technology from time to time whereby the Customer will be required to prove its identity to Wessex Technology. This may include supplying company credit card details, providing evidence that a specific IP address is registered to the Customer or logging on with a passcode generated by a physical device provided by Wessex Technology. Countermark: a machine- and human eye-readable alpha-numeric string of 16, 24 or 32 characters displayed in the Countermark Font. Customer Data: the data inputted by the Customer or its Issuers for the purpose of using the Services, including Snippets. Countermark Font: the font developed by Wessex Technology which is the subject of Registered Design . Countermark Trade Mark: European Union trade mark No. 010206092 for the word “Countermark” in classes 9, 16, 35 and 42. Document: a Document prepared by, compiled by or otherwise lawfully in the possession of the Customer. Document Allowance: the subscription purchased by the Customer pursuant to clause 8.1, if specified in the Schedule, which entitles Issuers to access and use the Services and the Guidance in accordance with this agreement for a specific number of Documents. Guidance: the guidance and notes made available to the Customer by Wessex Technology online via the Website which sets out a description of the Services and the user instructions for the Services. Initial Subscription Term: the initial term of this agreement as set out in the Schedule. Intellectual Property Rights: patents, utility models, rights to inventions, copyright and neighbouring and related rights, moral rights, trade marks and service marks, business names and domain names, rights in get-up, goodwill and the right to sue for passing off or unfair competition, rights in designs, rights in computer software, database rights, rights to use, and protect the confidentiality of, confidential information (including know-how and trade secrets) and all other intellectual property rights, in each case whether registered or unregistered and including all applications and rights to apply for and be granted, renewals or extensions of, and rights to claim priority from, such rights and all similar or equivalent rights or forms of protection which subsist or will subsist now or in the future in any part of the world. Issuers: those employees, agents and independent contractors of the Customer who are authorised by the Customer to use the Services and the Guidance, as further described in clause 1.2(b). Issuer Subscriptions: the Issuer subscriptions purchased by the Customer pursuant to clause 8.1, if specified in the Schedule, which entitle Issuers to access and use the Services and the Guidance in accordance with this agreement. Normal Business Hours: 9.00 am to 4.00 pm local UK time, each Business Day. Redacted Data: that part of a Document, as selected by an Issuer, which is to be replaced with a Countermark and thereafter stored securely by Wessex Technology for later access by Users. Redaction: the substitution of Redacted Data by a Countermark Code in a Document. Snippet: Annotation Data, Redacted Data or Validation Data, depending on the Countermark. Services: the subscription services provided by Wessex Technology to the Customer under this agreement via the Website, as more particularly described in the Guidance. Service Use: the maximum numbers of Countermark Codes and/or Snippets which the Customer is entitled to generate by using the Services in any particular reference period as set out in the Guidance. Software: the online software applications and the Application provided by Wessex Technology as part of the Services. Specification: the technical and operational parameters of the Services as published on the Website from time to time. Subscription Fees: the subscription fees payable by the Customer to Wessex Technology for the Issuer Subscriptions or the Document Allowance, as set out in paragraph 1 of the Schedule. Subscription Term: has the meaning given in clause 13.1 (being the Initial Subscription Term together with any subsequent Renewal Periods). Support Services Policy: Wessex Technology's policy for providing support in relation to the Services as made available at the Website. Tracking: the application of a Countermark Code to a Document for the purpose of uniquely identifying that Document and enabling the Customer to track the Document’s distribution and use by Users. User: person who uses a mobile device to read a Countermark. Users may be a member of the general public or a member of a limited Group of Users, as determined by the Issuer. Validation: the application of a Countermark Code to a Document for the purpose of uniquely identifying that Document and confirming its authenticity and integrity by Users. Validation Data: the information displayed by the Services to confirm the authenticity and integrity of a Document. Website: www.countermark.com or such other website address as may be notified to the Customer from time to time. 27.2	Clause, schedule and paragraph headings shall not affect the interpretation of this agreement. 27.3	A person includes an individual, corporate or unincorporated body (whether or not having separate legal personality) and that person's legal and personal representatives, successors or permitted assigns. 27.4	A reference to a company shall include any company, corporation or other body corporate, wherever and however incorporated or established. 27.5	Unless the context otherwise requires, words in the singular shall include the plural and in the plural shall include the singular. 27.6	Unless the context otherwise requires, a reference to one gender shall include a reference to the other genders. 27.7	The word “including” means “including without limitation”. 27.8	A reference to a statute or statutory provision is a reference to it as it is in force as at the date of this agreement. 27.9	A reference to a statute or statutory provision shall include all subordinate legislation made as at the date of this agreement under that statute or statutory provision. 27.10	A reference to writing or written includes communications through the Website but not e-mail. 27.11	References to clauses and schedules are to the clauses and schedules of this agreement; references to paragraphs are to paragraphs of the relevant schedule to this agreement. © 2015-2019 Wessex Technology OEP Ltd.